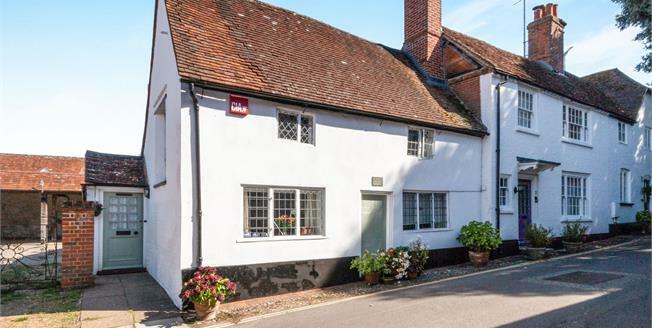 This beautiful attached period cottage is one of the oldest buildings in the town and the Grade 2 listing reflects the charm and character of the property which includes an abundance of exposed timbers, traditional doors and some lovely period windows. Inside the accommodation is well presented with a modern kitchen providing a stylish contrast to beams and fireplaces in the two reception rooms. Upstairs the two bedrooms enjoy vaulted ceilings adding to the impression of space along with lovely period windows. Outside there is an attractive, part-walled, courtyard garden and useful additional storage.